Quality Falls drops 7 meters over a resistant sandstone layer, with softer rocks below the ledge. The trail drops down to the creek level in a series of switchbacks which lets you get a better view of the falls. 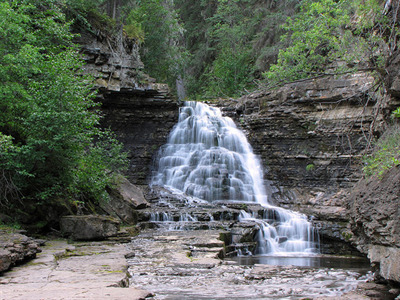 The trail to get to Quality Falls is rated easy and is 2.5 km round trip. This trail should take you about 1.5 hours. Biking can also be done on this trail. There are viewpoints at the falls as well as picnic sites. There are also plank bridges to help cross 2 small creeks and a staircase to help get to the bottom. Check out our photo gallery to see the stunning pictures you can take during your trip.